I’ve been on Tumblr for a month and feel like a kid in a candy store. I first learned about Tumblr on lynda.com. It really didn’t appeal to me as a blogging platform. 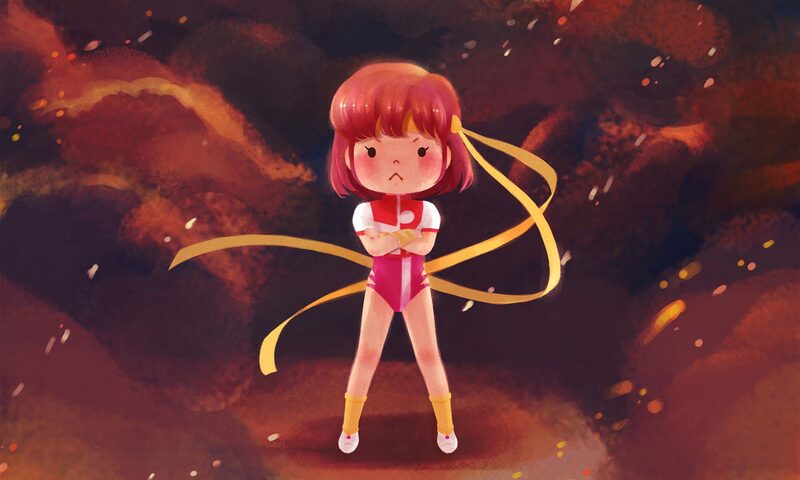 Then a Google image search for Gunbuster led me to the Tumblr site. I was overwhelmed by what seemed to be a never-ending thread. I found images that Google couldn’t find. Do you have a favorite anime? Search it on Tumblr and be amazed. So what is Tumblr? It’s a cross between a blog and Twitter. It’s not meant for long articles. Most text posts are a sentence or two. Most anime posts I see are images and animated gifs. You’ll also find videos and music. Tumblr works with YouTube, Vimeo, and SoundCloud. How do members interact? Members can like posts (facebook style). Members can follow each other: Posts from members you follow show up in your dashboard. You can also reblog someone else’s blog and add comments. Members are notified anytime they are followed and if their posts are liked or reblogged. I’m following 14 members right now who post anime and I can’t keep up. I think it takes me about 30-45 minutes to go through a day’s worth of posts. I’m addicted. I’m constantly checking my dashboard. When I not home I’m checking my dashboard on my Android app. Tumblr has the advantage of anonymity over Facebook and Twitter. I’d feel uncomfortable sharing my love for anime on Facebook. You have the option to share what you want about yourself. 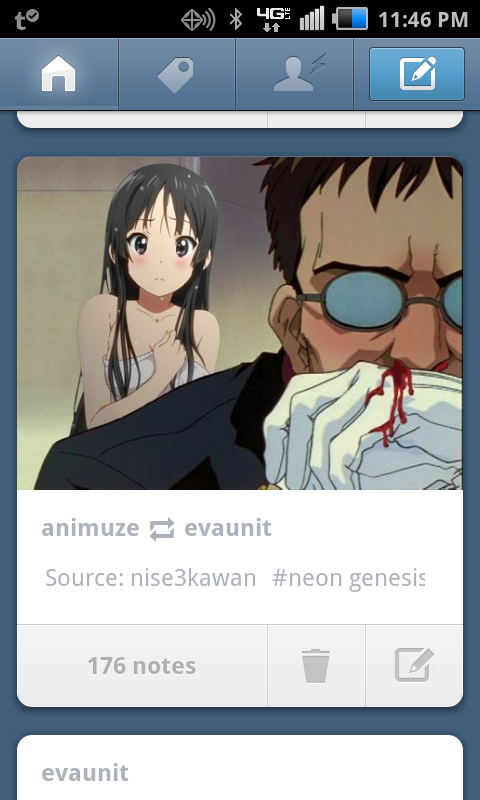 If you’re into anime follow me on Tumblr.